The quality of photovoltaic solar panels is an important factor to consider for any solar plant project on the roof or on the ground. Indeed, the quality of the photovoltaic modules chosen will determine the return on investment time of your solar power plant by guaranteeing you an optimal production of solar energy in the long term. How to recognize the best photovoltaic panels on the market? It is difficult for a neophyte to check the quality of a solar panel only with a verification of the visual appearance. Indeed, it will be necessary to check several criteria such as standards and technical specifications to ensure the reliability of its photovoltaic solar panel. heliosolaire offers you the top 10 quality criteria for a solar panel that will help you to define the choice of your photovoltaic solar panel according to your energy needs and especially depending on your installation context of your solar plant. But before, all is a question of approaching and understanding the regulations concerning photovoltaic solar panels. 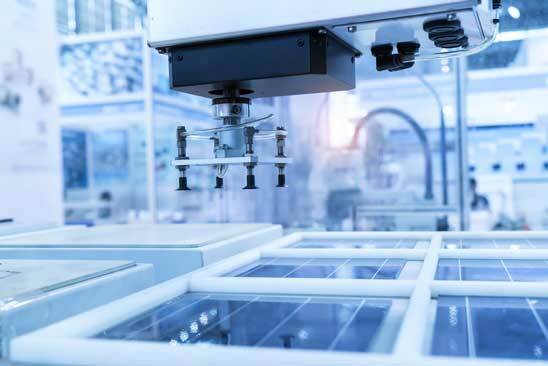 The manufacture of photovoltaic modules is governed by several standards required by the IEC (International Electrotechnical Commission) in order to be marketed on the international market. -The standard IEC 61215 (crystalline) or IEC 61646 (amorph) certifies a guarantee of quality in terms of respect for electrical parameters and mechanical stability. The requirements of this standard refer to the qualification of the design and approval of photovoltaic modules for land application and for long-term use. -The standard IEC 61730 specifically addresses the topics of prevention against electric shock, fire hazard and bodily injury due to mechanical and environmental constraints. This standard, whose specificities concern the safety aspects of the modules, complements the IEC 61215 standard, which fixes the electrical performance. Normative standards are a guarantee of reliability for solar photovoltaic modules also installers and manufacturers should be able to provide you with the quality certificates for their solar panels they offer. There is also the possibility to directly download the certificates and attestation of conformity and test directly on the website of the manufacturers, for example the certificates for the manufacturer Qcells. The TUV certificate ensures that the photovoltaic module has successfully passed the rigorous tests carried out by the German TUV laboratory (Technischer Überwachungsverien) proving its resistance to extreme temperatures, accelerated aging cycles, violent splashes and fire. TUV solar plant test website. The manufacturer must at least offer you a solar panel with a minimum guarantee of 25 years. What is the procedure for replacing my solar panel in case of failure? It is a good idea to ask the installer or the manufacturer if you have difficulty getting information about it, so it’s a bad sign. The cost of a photovoltaic solar panel is normally expressed in cost by Wc. Example: 0.85 euros / Wc for a solar panel of 250 Wc which indicates a unit price of 212,50 Euros. Beware of very low prices on solar panels is usually the sign of a minimum quality equipment with guarantees sometimes questionable. Do not hesitate to ask several quotes from several distributors or installers to compare. Try to find out about the solar panel manufacturer’s reputation in the search engines. How long has it been in the field of photovoltaics, see the design of the website and aspects dealing with the warranty. It is wise to see the forum discussions about the brand of the manufacturer, are they positive or negative? Polycrystalline, Monocrystalline or Amorphous? Which solar cell technology have you chosen and why? Make sure the solar panel technology meets your needs, expectations and is adapted to the production context of your solar power plant. This is a criteria to consider depending on your installation context, the rate expressed in percentage will tell you the relationship between the production produced and the power of radiation captured by solar panels. The performance of photovoltaic solar panels varies according to several determining factors, but generally it is between 12 and 20%. Attention there are very good solar panels with yields at 12%, the efficiency is not to be considered to determine the quality of the equipment but rather to help you in the choice of photovoltaic modules according to your configuration and solar installation. The minimum surface available for rooftop or floor installations will favor the choice of high performance panels while the greater surface availability will make the choice of a solar panel with less output and therefore with a more accessible price. This is the amount of power output from your solar panel. For example a 165W module with a tolerance of +/- 5% could actually produce 156.75W up to 173.25W. The best photovoltaic solar panels have a “positive only” power tolerance, which means that you are guaranteed to get at least the specified output power of the panel. For example: a 200W solar panel with a tolerance of + 5% / – 0% will produce a minimum of 200W and a maximum of 210W. The temperature coefficient tells you the electrical behavior of your solar panel from a standard operating temperature of 25 °. The units of this coefficient is expressed in “% by ° C”, so the lower the coefficient, the better the solar panel is. On the other hand, the higher the number, the less the photovoltaic module will produce in case of strong heat or at the beginning of the afternoon. A high temperature coefficient is a sign of a lower quality solar panel. A reasonable number is around 0.5%, also the best solar panels down to 0.3% while 0.7% indicates a poor coefficient in terms of performance and thus a photovoltaic equipment not very reliable. Visually a quality solar panel frame should result in an exemplary finish. Angled contacts must be joined and anodised to ensure corrosion protection. Finally the edges must not be sharp and the design must be refined for aesthetic integration on a roof. Flip the module over to inspect the finish of the Bypass box. It must be properly silicone and the appropriate cable diameter. Check the bypass diodes that will allow the solar panel to continue to produce even if shading on part of the solar panel. At the back of the module is the protective film, check that there are no air bubbles and that the film is perfectly flat, the opposite would be an indicator of negative quality.